Have you struggled with the idea of marketing online? I sure have! 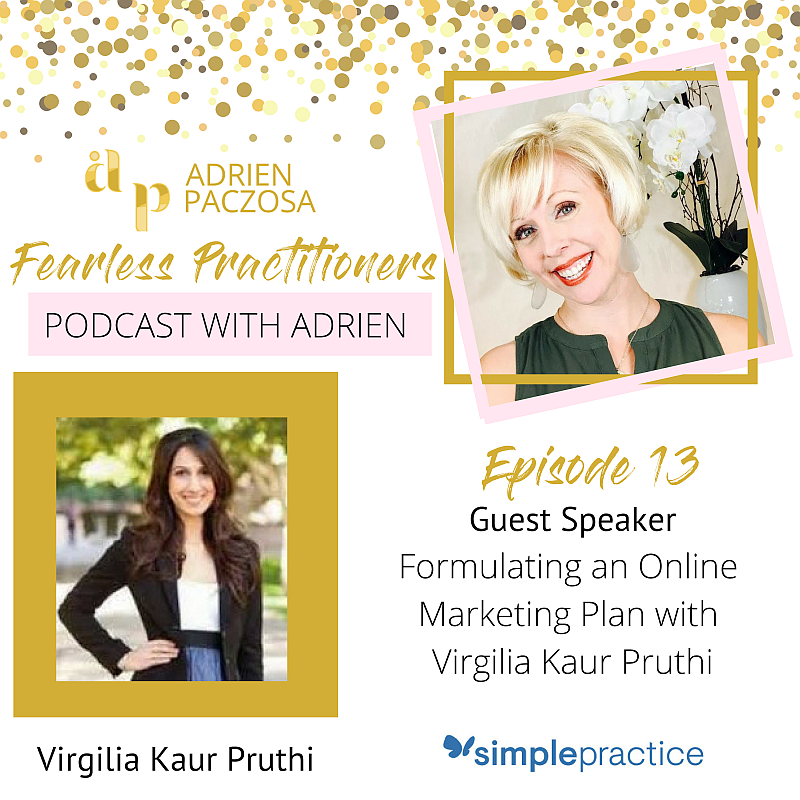 In today’s show our amazing guest Virgilia Kaur Pruthi shares some great tips about how to even begin this process. Acquisition, activation, retention, revenue and referral (Aarrr!!!) will soon make so much sense and help you to feel like you have a plan for online marketing! The first step we learn is that you need to have a goal and a plan when starting any online marketing. Next, it’s all about your brand! Does your online presence match up with what you present in real life? If not you will need to check it and fix that ASAP! Lastly we chat about where you need to be spending your time, whether it’s email, social, SEO and offline! Grab a pen a paper because you will seriously be taking notes! She has worked in product management for tech companies and consulted for Fortune 100 companies in the U.S., Latin America, Middle East, and India on go-to-market strategies, geographic expansion, and M&A. Prior to business school, she worked as Chief of Staff to an Ambassador of the UN while focusing on micro-finance related initiatives, and graduated from undergrad at age 19 with a full academic scholarship. After working in consulting, the entrepreneurial bug caught on to Virgilia and she has been toying around with ideas in the technology space ever since. Alongside two co-founders, Virgilia started an online media company geared towards the millennial generation called GenJuice where she managed a team of 60 content creators, editors, and helped grow the product nationally. Her passion for startups led her to work with her alma mater, Arizona State University, to embed entrepreneurial thinking, startup methodology, and design thinking across twelve departments at Arizona State University, reaching over 40,000 students. Today’s episode is brought to you by SimplePractice; the complete platform for health and wellness professionals. It’s truly practice management made simple! Click HERE and get started with a free 30 day trial and a $50 subscription credit after you sign up for a paid account. She is the founder of Fearless Practitioners, the division of her business that offers training to dietitians and wellness professionals and I Live Well Nutrition her Dietitian practice started in 2007. 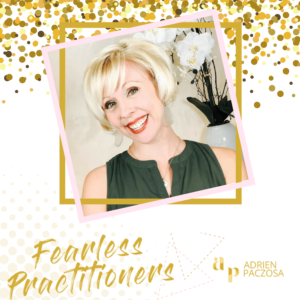 In 2015 Adrien launched Fearless Practitioners to help other Dietitians and Wellness Professionals build and grow their own private practices.